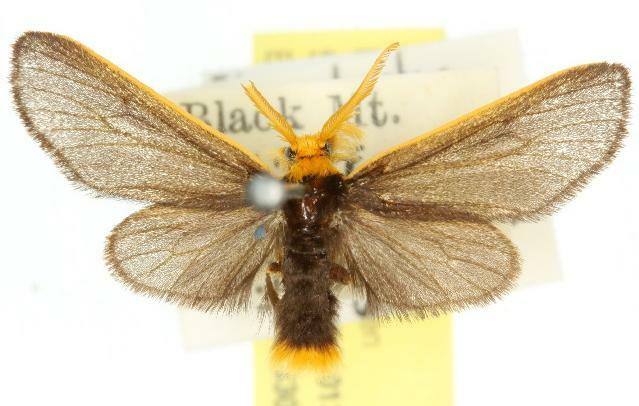 The male adult moth has dark grey forewings, each with an orange costa. The hindwings are grey. 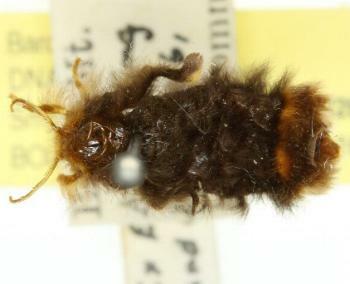 The antennae, head, collar, and tip of the abdomen are orange. The thorax and most of the abdomen are black and hairy. The wingspan of the male moth is about 2 cms. The female is black and hairy, and has vestigial wings, so cannot fly. She also has some orange hairs on the end segments of the abdomen. Part 4 (1855), pp. 922-923.